Google Netbook in the Works? After Google revealed about its Google Phone recently, rumors have been circulating that the search engine giant will be introducing more new hardware, starting with their very own netbook. Tech blogs have had differing opinions about this issue, such as questioning or confirming the authenticity of these Google Netbook speculations. 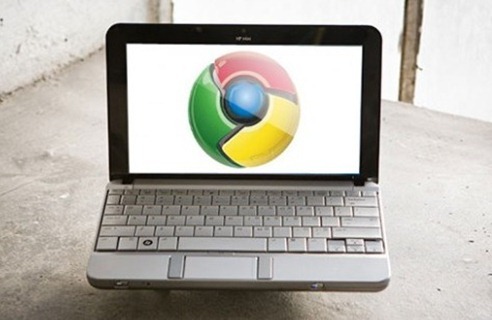 Adding the excitement to this development is a report by Mike Arrington of TechCrunch, claiming that he has gained insider info that Google has talked with at least one netbook manufacturer about creating a Google-branded netbook that runs on its Chrome OS. It is said to be released by the end of 2010, just in time for the Holidays. He also added that the netbook will likely be sold through wireless carriers like smartphones, with Google paying subsidies to keep the netbook price down. Meanwhile, Don Reisinger of EWeek.com listed his reasons why Google would never develop a netbook of its own. "Google is simply not a hardware company. Its core competency is providing a user experience through online services and software." Other tech journalists, however, question Google’s intent to take on stiffer competition. "I don’t see how it makes sense for Google to be directly competing with the HPs, Acers, Lenovos, and Dells of the world," wrote David Coursey of PC World, adding that doing so might turn off other companies from bundling Chrome OS with their products. Coursey even speculated that Google could probably become bolder with its actions. "Does Google have some plan to subsidize these products to get its ads in front of business users? Might the Google netbook be effectively close to non-Google applications as a result?" We will see in a few weeks how this story will develop.